So... what is The Law of Attraction? You are at:Home»Inspirational»So… what is The Law of Attraction? 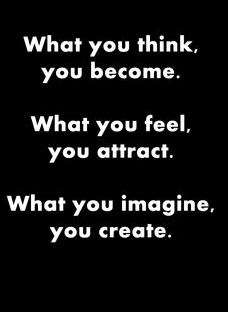 The Law of Attraction (LOA) is the name given to the theory that like attracts like, that if we focus our thoughts on the positive or negative then you will receive positive or negative results. That’s the definition but what does it really mean? It means that what you think about you bring about. What you believe you receive. 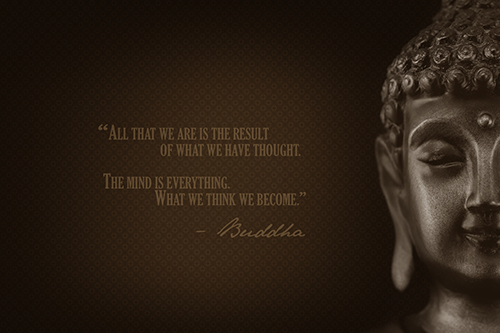 Your thoughts are your things. Although it is not enough to just think positive, you also need to feel it in your heart for the LOA to work its magic. See below What’s Next?, where I explain this in detail. LOA means if you think positive thoughts you will attract wonderful things into your life but if you think negative thoughts you will attract the not so good into your life. Are you a positive or negative thinker? See the examples below and ask yourself if your mind is clouded with negativity the majority of the time or if you generally look on the bright side of life. There is no right or wrong answer as we are all different and all trying to better ourselves everyday but this is the first step in turning your whole life around by learning The Law of Attraction. If I woke up this morning already dreading the day ahead and not wanting to go to work. (First knock on effect of the day). Then I drag myself up out of bed and stubb my toe, get really annoyed about it, Fffing and blinding out of me then all of a sudden I am running late for work! When I get into my car and start driving, I am stuck in heavy traffic picturing my boss giving out to me about being late. Then I get into work tired and frustrated before my work day even begins! Then… who pops their head around to give out to me? My boss. And my day goes downhill from there on out. Notice all the highlighted Negative words and phrases above and its only morning time! Now lets recap a bit on that: Did you see the pattern forming of bad to worse? I woke up in bad form, dreading the day then I hurt my toe which annoyed me then I was running late, then I visioned myself getting into trouble for it and it happened. The knock on effect kept going and does until you are depleted. Ever notice when a customer, friend or family member bugs you and then the rest of your day is ruined? You chose to let that bad thought manifest until you are livid and blaming that person for ruining your whole day. I know you are probably screaming at the screen saying its not my fault that these things happen to me and that is ok to do so but you are just starting to learn about LOA so bare with me. Now lets do a quick comparison to positive thinking. If I woke up this morning grateful to be alive, breathing and looking forward to having a great day. I would get up feeling fresh and revived and ready to take on the world. I have woke up with enough time to get ready, have some breakfast and with plenty of time to spare to get to work on time. I fly to work because I left the house early listening to some upbeat music. I get there 5 minutes early. I go get my water and start my work day happy. Now lets say for instance my boss comes around the corner and he/she is in bad form and says something a bit out of order. I have the choice to get annoyed about it or be calm cool and collected. If I get annoyed it will manifest and ruin my day. If I brush it off I am still in great form and have not given much energy to a small situation. I keep going like this and I have a great day, where everything runs smoothly and I am not left drained and depleted from my own thought process but instead I am happy and fulfilled with how my day has gone. Can you see the comparison between the Positive and Negative day? Huge isn’t it? Now imagine you started to practice this in your every day life and everything flowed more easily and everything was less of a struggle. It would be great wouldn’t it? Now, I am not trying to patronize anyone who might think “Oh well that is all well and good but what if I am going through a really hard time?” I can totally understand that but all you can do in those situations is try and remain as positive as you can until you learn to deal with that situation. “What if I cannot control what is happening in my life due to someone else?” I understand that too but you have to focus on yourself as it is not in your control and you can only make The Law of Attraction work for you, not anybody else, but by being more positive others around you will be uplifted over time, even the most negative people you have ever met! Trust me. This brings me onto the next part of The Law of Attraction. It is not enough just think positive you have to feel it in your heart to bring the best into your life. Just as much as when you think negative and you get angry or sad that brings more of those not so nice situations and things into your life. The point where you feel like exploding, we all know that feeling but do the opposite. You need to put in as much energy when practising The LOA, positive energy! You can start by looking around and realizing how rich you already are with everything you already have. Here are some examples: I am so lucky to have a roof over my head, a warm bed to sleep in, clothes on my back, great family and friends, a job, a social life… Let your heart skip a beat and let yourself feel how happy and content you are with what you already have. This will attract more of the things your love into your life beyond your wildest dreams. Being grateful is the quickest way to bring more into your life using The LOA. Be thankful for waking up another day alive and kicking when there are so many who won’t. Be thankful that you not only have a roof over your head but somewhere you can call home and that you have this in your life because there are millions who don’t. Be thankful to have so many wonderful people in your life who love the bones of you and you them. They would do anything for you and you them etc. Life is a precious thing and it is easy for us to say life is hard and unfair but its not everyday of our lives that life is hard and unfair its only the extreme things that happen to us that are horrible and unfair at certain intervals through life. We have a million other things to be grateful and happy for. If you do not feel like you have anything to be grateful for, ask yourself does the above list of things to be grateful for apply to you? If you feel like you will never be happy in general then you might need to dig deeper than practising The LOA as you might need to learn to love yourself and life again. Talk to someone and begin to change your life today! If you can’t wait, then google How to use The Law of Attraction and keep learning more so that you can have the life of your dreams and stop limiting yourself today!!! I just want to say I am just new to blogging and absolutely liked you’re website. Most likely I’m want to bookmark your blog . You absolutely come with exceptional article content. Regards for sharing with us your web page.